Wood Vinyl Glue – Perfectly transparent film. Without mineral fillers. 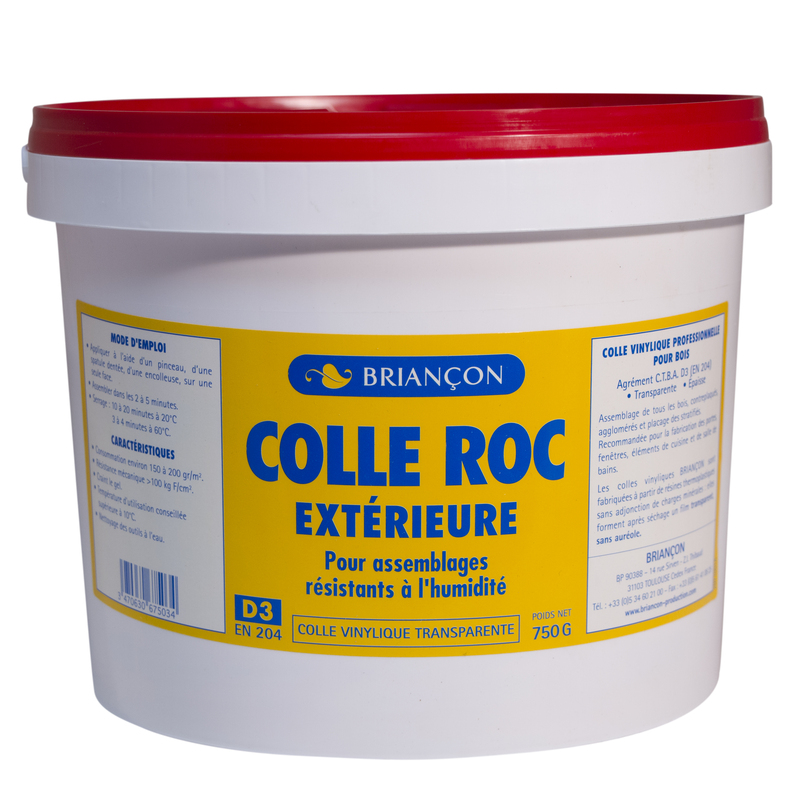 Outer ROC Glue allows the assembly of all solid woods, plywoods, agglomerates outdoors protected from the weather. Possible use for laminate veneers outdoors sheltered or damp inside. Outer ROC Glue is recommended for the manufacture of doors, windows, kitchen units, bathrooms, interior fittings of boats.